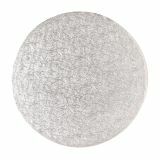 Squires Kitchen 24-carat edible gold leaf is an ideal method for adding sparkle to your sugarcraft creations for any special occasion. 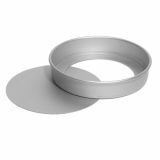 The easy-to-use transfer sheets make it simpler than ever to add a touch of glamour to all your cakes, bakes and desserts. 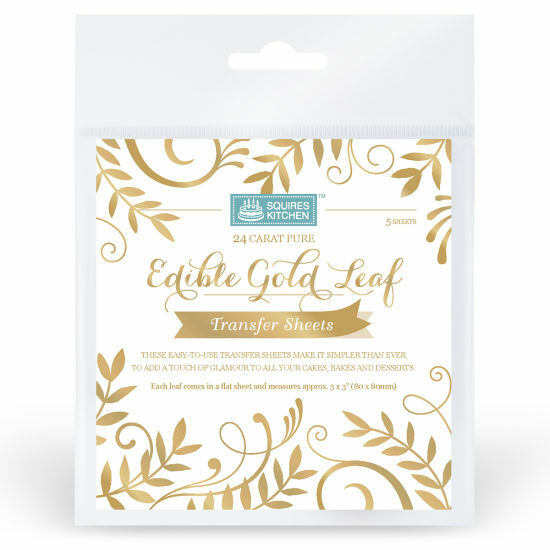 Edible Gold Leaf Transfer Sheets allow you to decorate whole cake tiers and larger areas quickly, achieving a smooth, polished finish with ease. Simply brush SK Gildesol or another adhesive medium over the surface of your work so it is tacky, place the square transfer sheet over the area, then peel back to reveal a smooth, gold covering. 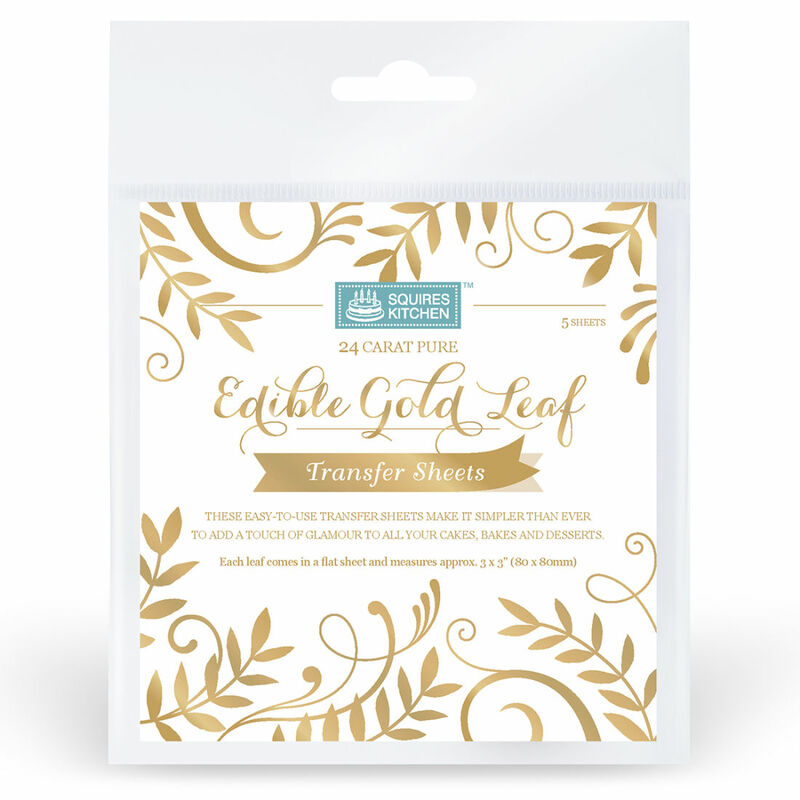 What’s more, Squires Kitchen's Gold Leaf Transfer Sheets are perfect for use with stencils, allowing you to create intricate, lustrous designs in no time at all. Use on cakes, cookies, cupcakes, chocolate work, desserts and even fruit, for that extra-special touch of luxury. 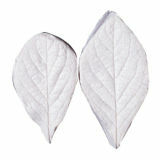 Each leaf comes in a flat sheet in a book of 5 or 25. Brush the surface of your sugar work with water or apply adhesive medium such as confectioners glaze or gum arabic dissolved in water to your dry sugarwork. You should allow the adhesive to become tacky before attempting to transfer the leaf. Mask of areas to prevent the accidental transfer of leaf.